The main problem in the theory of groups is to classify them, and to study their structures. The present chapter deals with the Sylow theorems which play a very crucial role in the structure theory of groups. 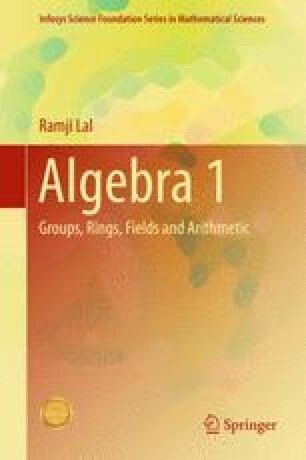 This chapter also contains the classification of finite abelian groups together with the Schreier and the Jordon-Holder theorems.